First published in Great Britain, 1987 by The Athlone Press Impact edition 2004 This edition 2007 ©Copyright 1987 The Athlone Press Originally published as Critique et Vérité, by Editions du Seuil, Paris, 1966 The Publishers wish to acknowledge the financial assistance of the French Ministry of Culture and Communications in the translation of this work. British Library Cataloguing in Publication Data Barthes, Roland, Criticism and truth 1. Criticism 2. Linguistics 3. French literature - History and criticism I. Title II. Critique et verite. English 801, '95 PN98.I./ ISBN-10: 0-8264-9474-9 ISBN-13: 978-0-8264-9474-0 All rights reserved. No part of this publication may be reproduced, stored in a retrieval system, or transmitted in any form or by any means, electronic, mechanical, photocopying or otherwise, without prior permission in writing from the publisher. Typesetting by Interactive Sciences Ltd, Gloucester Printed and bound in Great Britain by Antony Rowe, Chippenham, Wiltshire Katrine Pilcher Keuneman is and has been to date the sole translator and editor of all published English language versions of Criticism and Truth. Continuum regrets an error in the 2004 edition which wrongly attributes a collaborative role to a third party who was not involved with the production of the text. CRITICAL VERISIMILITUDE Just as some works of literature are interpreted in accordance with verisimilitude, namely, what the reading public thinks likely or possible, so in criticism, says Barthes, there exists a kind of verisimilitude. What justifies criticism, according to this unspoken ideology, is common practice, common sense and that which goes without saying. The presuppositions of this critical method become apparent when it discovers supposed transgressions against its rules. It then reacts with exaggerated astonishment and claims that all deviations from itself are alarming, monstrous, pathological. The very word structure itself opens up vistas of disagreement, for it is a methodological choice to perceive a structure in a work. GOOD TASTE "Old" criticism (as Barthes somewhat mockingly calls traditional criticism) is itself based on a system of taboos, according to Barthes. However, it also operates a particular set of taboos governing the sorts of things one may write about. Thus the critic J.-P. Richard is ridiculed by old criticism for talking of spinach in connection with Stendhal—he has violated the taboo against the concrete in literary discourse. "Good taste" allows the old critic to reject any discourse he does not like—once again, in terms of an undefended aesthetic. All talk of sexuality is particularly subject to taboo, and this is partly because old criticism has an outmoded, simplistic concept of the human mind and body, sharply divided into upper and lower, controlled and inchoate, conscious and anarchistic. CLARITY The value placed on clarity is also ideologically based. Old criticism's liking for clarity is a kind of political approval by a class of its own language. The so-called jargon of new criticism cannot in fact be defined by its inherent qualities—for old criticism too indulges in floweriness. Rather it is the case that the language of the other, but not its own language, is perceived as jargon by old criticism. In the last analysis Barthes denies that clarity is something separate that can be imposed on a discourse from the outside. 1. R. Picard, Nouvdle Critique ou nouvelle imposture, Pauvert, Utrecht, 1965; New criticism or new fraud? trs. F. Towne, Washington State University Press, 1969. 2. R. Barthes, Sur Racine, Seuil, 1963; On Racine, trs. Richard Howard, Hill & Wang, New York, 1964. 3. R. Barthes, Essais critiques, Seuil, 1964; Critical Essays, trs. Richard Howard, Northwestern University Press, 1972. 4. Picard, Nouvelle critique, pp. 66, 69—my translations. 5. R. Barthes, Mythologies, Seuil, 1957; Mythologies, partial English translation by Annette Lavers, Cape, 1972; Hill & Wang, 1973. Remaining essays, The Eiffel Tower and Other Mythologies, trs. Richard Howard, Hill & Wang, 1979. 6. Below, p. 28. 7. Barthes develops this notion further in a later article, "La Mort de 1'auteur", Manteia, V, 1968, pp. 12-17: "The Death of the Author", trs. Stephen Heath in Image-Music-Text S. Heath (ed. ), Fontana, 1977. 8. Below, p. 35. 9. Below, p. 35. What is called "new criticism" has existed for some time. Since the Liberation (as was to be expected), a certain reappraisal of our classical literature has been undertaken under the influence of new philosophies, by critics of widely differing persuasions and across a great range of monographs which in the end have covered the whole gamut of our authors from Montaigne to Proust. We should not be surprised that a country should periodically review in this way the things which come down from its past and describe them anew in order to find out what it can make of them: such activities are and ought to be normal assessment procedures. Now, however, people have suddenly accused this movement of fraud, 1 casting upon its works (or at least certain of them) those taboos which normally define, by rejecting them, what all avant-garde movements are: people have discovered that these works are intellectually empty, verbally sophisticated, morally dangerous and that they owe their success to snobbery alone. The surprising thing is that these accusations should come so late. Why today? Is it an unimportant reaction? The return to the offensive of a certain obscurantism? Or on the contrary the first resistance to new forms of discourse which are being evolved and whose existence has been suspected? What is striking about the recent attacks on new criticism is their immediately and apparently instinctively collective character.2 Something primitive and bare has begun to stir in all this. One might have thought one was witnessing a primitive rite of exclusion of a dangerous individual from an archaic community. Hence the strange vocabulary of execution."" Discourse reflecting upon discourse is the object of a special vigilance on the part of institutions, which normally contain it within the limits of a strict code: in the literary State, criticism must be controlled as much as a police force is: to free the one would be quite as "dangerous" as democratizing the other: it would be to threaten the power of power, the language of language. To do a second writing of the first writing of the work is indeed to open the way to unforeseeable relaying of meaning, the endless play of mirrors, and it is this room for manoeuvre which is suspect. So long as criticism had the traditional function of judging, it could not but be conformist, that is to say in conformity with the interests of the judges. However, the true "criticism" of institutions and languages does not consist in "judging" them, but in perceiving, in separating, in dividing. To be subversive, the critic does not have to judge, it is enough that he talks of language instead of using it. What new criticism is reproached with today is not so much that it is "new", but that it is fully "criticism", that it re-allocates the roles of author and commentator and in so doing attacks the linguistic order." One can be satisfied that this is the case if one looks at the law which is cited against it and which is invoked to justify its "execution". cultural community is concerned, it has a readership, reigns supreme in the literary pages of some big newspapers and moves in accordance with an intellectual logic which ordains that one may not contradict that which comes from tradition, from Wise Men, from current opinion, etc. In short, there is a kind of critical verisimilitude. This verisimilitude is hardly ever expressed in declarations of principle. As it is that which goes without saying it never raises questions of method, since a method is, in a quite contrary way, the act of doubt by which one asks oneself about chance or nature. You notice it particularly when it adopts astonishment and indignation before the "extravagances" of new criticism: everything appears to it as "absurd", "bizarre", "aberrant", "pathological", "frenzied", "alarming". *2 Criticism based on verisimilitude is very fond of "evident truths". These evident truths are, however, essentially normative. By a habitual process of confused logic, the unbelievable proceeds from the forbidden, that is to say from the dangerous: disagreements become divergences, divergences become errors, errors become sins,13 sins become illnesses, illnesses become monstrosities. As this normative system is very narrow, a mere nothing can go outside it: rules appear, perceptible at those limits of verisimilitude which one cannot transgress without coming up against a sort of critical anti-nature and falling into what is then called "teratology".14 What then are the rules of critical verisimilitude in 1965? is not confined to fiction; for critical verisimilitude, life itself is clear: the same banality governs the relationship of people in books and in the world. It is said that there is no interest in seeing in Racine's work a theatre of Captivity, since that is a common situation;25 similarly, it is pointless to insist on the power game which Racinian tragedy portrays on stage, since, we are reminded, all societies are based on power.26 That is really to view with a great deal of equanimity the presence of power in human relationships. Literature itself is less blase; it has never failed to comment on the intolerable character of banal situations, since literature is precisely the discourse which makes of an ordinary relationship a fundamental relationship and transforms that into an outrageous relationship. Thus critical verisimilitude devotes itself to dropping everything down a notch: what is banal in life must not be heightened; what is not banal in the work must on the other hand be banalized: singular aesthetic this, which condemns life to silence and the work to insignificance. nature as if it were a possession. Do I then exist before my language? Who might this 7 be, owner of precisely that which causes me to exist? How can I live my language as a simple attribute of my person? How can one believe that if I speak, it is because I am? Outside of literature, it is perhaps possible to entertain these illusions; but literature is precisely what stops us from doing so. The prohibition which you cast upon other forms of language is simply a way of excluding yourselves from literature: one can no longer, one should no longer be able to, as Saint-Marc Girardin 51 * did in his time, act as a policeman towards art and at the same time claim to talk about it. nothing but a hen which is crossing the village square. It is not reasonable to accord absolute dominion to the letter of a text and then afterwards, without warning, to contest each symbol in the name of an inappropriate principle. Would you blame a Chinese (since new criticism seems to you to be a strange language) for the mistakes he is making in French when he is talking Chinese! But why, after all, this deafness to symbols, this a-symbolia? What is so threatening in a symbol? Multiple meaning is the basis of a book; why then does it endanger the discourse which is applied to the book? And why, once again, today? 60 Rimbaud to his mother, who did not understand Une Saison en Enfer: "I meant to say what it says, literally and in every sense" (Oeuvres completes, Pleiade, p. 656). important as that which marked, in relation to the same problem, the transition from the Middle Ages to the Renaissance. This crisis is indeed inevitable as soon as one discovers—or rediscovers—the symbolic nature of language, or, if one prefers, the linguistic nature of the symbol. That is what is happening today under the combined influence of psychoanalysis and structuralism. For a long period, classicobourgeois society saw in discourse an instrument or a decoration; nowadays we see in it a sign and a truth. Everything which is affected by language is thus in a certain way called into question: philosophy, social sciences, literature. Here is doubtless the debate into which we must bring back literary criticism; here is (at least partly) what is at stake when we practise literary criticism. What is the relationship between the work and language? If the work is symbolic, by what rules of reading is one bound? Can there be a science of written symbols? 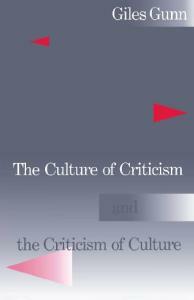 Can the language of the critic itself be symbolic? Since it is abstracted from any situation, the work by that very fact offers itself for exploration: it becomes, to the person who writes or reads it, a question which is put to language, the foundations of which are experienced and the limits of which are being reached. The work thus makes itself the repository of a vast unceasing investigation into words.13 It is always claimed that the symbol is only a property of imagination. The symbol also has a critical function, and the object of its criticism is language itself. To the Critiques of Reason which philosophy has given us we can add today a Critique of Language which is literature itself. Now if it is true that the work by its very structure contains a multiple meaning, it must give rise to two different discourses: for one can on the one hand try to read all the meanings the work covers or, what amounts to the same thing, the empty meaning which underlies them all; and one can on the other hand single out only one of them. In no case ought these two discourses to be confused with one another, for they are not directed at the same object nor are they controlled by the same sanctions. One can propose to give the name science of literature (or of writing) to that general discourse whose object is not a particular meaning but the very plurality of the meanings of the work, and to give the name literary criticism to that other discourse which openly and at its peril adopts the intention of giving a particular meaning to the work. This distinction is, however, not sufficient. As the giving of meaning can be written or silent we shall separate the reading of the work from criticism of it: the first is immediate; the second is mediated by an intermediary language, which is the writing of the critic. Science, Criticism, Reading—these are the three kinds of discourse we must traverse in order to weave around the work its garland of language. as sentences in French are accepted by the "linguistic feeling" of the French. No doubt a long road remains to be travelled before we shall have at our disposal a linguistics of discourse, that is to say a true science of literature in conformity with the verbal nature of its object. For if linguistics can help us, it alone cannot resolve the problems presented by those new objects which are the parts of speech and double meanings. In particular it will need the help of history, which will inform it of how long, often how very long, secondary codes (such as the code of rhetoric) can last, as well as the help of anthropology, which will allow us, by means of successive comparisons and integrations, to describe the general logic of signifiers. which language puts to language.33 The habit we have adopted of giving a religious or poetic horizon to the symbol prevents us from seeing that there is an irony of symbols, a way of calling language into question by apparent, declared excesses of language. Confronted with the poverty of Voltairean irony, the narcissistic product of a language with too much confidence in itself, one can imagine another irony which, for want of a better word, we shall call baroque, because it makes play with forms and not with beings, because it opens out language instead of shrinking it.34 Why should irony be forbidden to criticism? It is perhaps the only serious form of discourse which remains available to criticism so long as the status of science and language is not clearly established—which seems to be still the case today. Irony is therefore what is immediately given to the critic: not to see the truth, in Kafka's phrase, but to be it,3S so that we are entitled to ask him, not make me believe what you are saying, but even more, make me believe in your decision to say it. problemes d'une sociologie du roman". Revue de I'Institut de Sociologie, Bruxelles, 1963, 2, p. 229). It goes without saying that this irony (or self-irony) is never perceptible to the opponents of new criticism. Gongorism in the transhistorical sense of the term always has a reflexive element; using tones which can vary greatly, from the oratorical to simple playfulness, the excessive figure of speech contains a reflection on language, whose seriousness is well tested. (Cf. Severo Sarduy, "Sur Gongora", Tel Quel, 25 (printemps 1965), pp. 91-93. "Not everyone can see truth, but everyone can be truth . . .", F. Kafka, quoted by Marthe Robert, p. 80. Georges Poulet: "Notes sur le temps racinien" Etudes sur le temps humain Plon, 1950; J.-P. Richard: "Fadeur de Verlaine", in Poesie et Profondeur, Seuil, 1955. Translator's note: Barthes uses the word "apophantique" here, which I have translated by "categorical". "Apophantique" is of relatively recent appearance in French (1945) and there appears to be no cognate word in English. It should not be confused with "apophatic", which means feigning to deny what one really means to assert. "Apophantique" derives from the Greek adjective "apophantikos", meaning, in Aristotelian logic, that which can be said to be true or false, or that which is the object of a judgment. Sollers feels he is subverting the Western bourgeois ideology by writing novels which question writing practice and conservative beliefs and his novels are intended to be "open" texts. His latest novel is Portrait dujoueur (1984). Seller's essays are complementary to his novels. Logiques (1968) is a collection of essays which Sollers has said should be read "simultaneously and dialectically" with his novel Nombres. Sollers's more openly political essays written since 1968 like Sur le materialisme (1974) show a continuing concern to treat literature as part of politics and society and not as mere belles-lettres. Hippolyte Taine (1828-93) Historian, philosopher and critic who was the author of numerous lengthy works. As a critic he sought to explain the few "eternal passions" which guide humankind, by relating particular writers to the general categories of "race, milieu et moment" ("race"—a concept of cultural identity based on nationality, physical characteristics, language, religion, etc.—social environment and point of time). The work of art arises from the way in which the organizing faculty of the writer responds to these three influences (see the preface to his Histoire de la litterature anglaise (1863)). For him criticism was a kind of science, a "sort of botany applied not to plants but to human works". Taine is now associated with the search for origins, and the wish to generalize and synthesize.